For Israeli leaders, the era of easy victories is gone. Israel’s ability to win wars and translate its victories into political concessions from Palestinians have been greatly hampered. This fact has little to do with Israeli Prime Minister, Benjamin Netanyahu’s supposed ‘weakness’ as his Israeli detractors often claim. The November 12 botched military operation targeting Resistance groups in the Gaza Strip delineates this inescapable fact: not only was Israel forced into an undesired truce, it also sustained serious losses which led to the current political crisis within Netanyahu’s ruling coalition. Keeping in mind the sustained popular protests at the border separating Gaza from Israel, and the PR disaster Israel has garnered for itself by killing hundreds and wounding thousands of unarmed protesters since March, the Gaza siege is now a major political liability for Israel. Add to that the failing campaign against the global Palestinian Boycott, Divestment and Sanctions movement (BDS), Israeli leaders have no good news to report in their war on Palestinians.Israel has a poor track record in confronting civil society-based mobilisation. Despite the vulnerability of Palestinians living under Israeli occupation, it took the Israeli government and military seven long years to pacify the popular Intifada, the uprising of 1987. Undoubtedly, a global Intifada is much more difficult to contain. Yet, when Israel began sensing the growing danger of BDS — which was officially launched by Palestinian civil society in 2005 — it responded with the same superfluous and predictable pattern: arrests, violence and a torrent of laws that criminalise dissent at home, while unleashing an international campaign of intimidation and smearing of boycott activists and organisations. That only garnered more attention and international solidarity for BDS. On November 19, the giant rental company, Airbnb announced it will no longer be using lists in illegal Jewish colonies in the West Bank. “Without question,” wrote David Rosenberg in Haaretz, Airbnb’s decision is the “biggest victory ever” scored by BDS. The news dominated Palestine and Israel-related headlines on that day which also covered an equally important BDS victory in Ottawa, Canada. The Canadian Federation of Students (CFS) which represents 500,000 Canadian students passed a resolution supporting BDS. Only weeks earlier, students at the University of Leeds in the UK also voted in support of BDS. The vote resulted in a total divestment by the university from Israel. Each time, Israeli officials, organisations and student groups would condemn the support for BDS using a plethora of terms and threats, yet no amount of intimidation is changing what seems to be an irreversible reality: Israel is losing this battle as well. Not that Israel hasn’t done its utmost to contain its BDS problem. 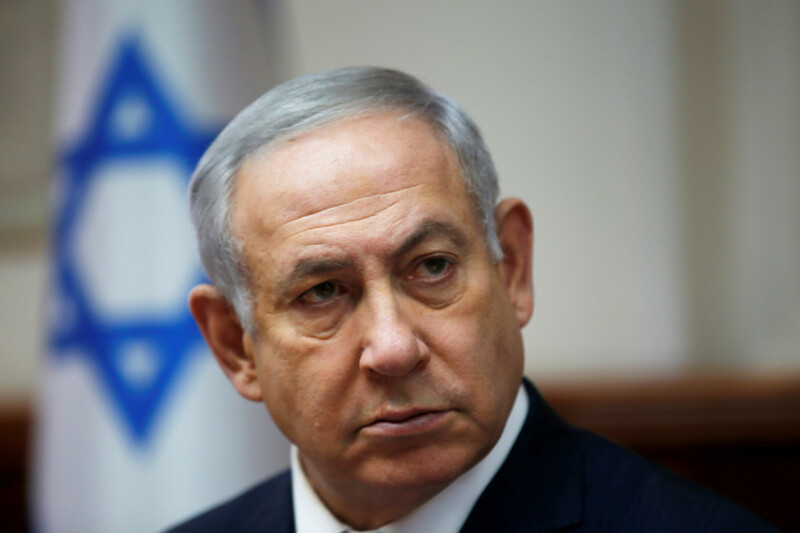 Last year, Netanyahu’s government dedicated a largesse of about $72 million (Dh264.24 million) to defeat the civil society-led campaign. It first focused its energies on the US front, a battle that seemed easy enough to win, before branching out to new frontiers in Europe. In a two-day conference in Brussels earlier this month, Israeli officials and their European supporters unleashed their broader European anti-BDS campaign. Organised by the European Jewish Association (EJA), the November 6-7 conference was fully supported by the Israeli government, featuring right-wing Israeli Minister of Jerusalem Affairs, Ze’ev Elkin. Under the usual pretext of addressing the danger of anti-Semitism in Europe, attendees deliberately conflated racism and any criticism of Israel, its military occupation and its colonisation of Palestinian land. The EJA Annual Conference has raised Israel’s manipulation of the term ‘anti-Semitism’ to an entirely new level as it drafted a text that will purportedly be presented to prospective members of the European Parliament, demanding their signature before running in next May’s elections. Those who decline to sign, or worse, repudiate the Israeli initiative, are likely to find themselves fending off accusations of racism and anti-Semitism. This was certainly not the first conference of its kind. The anti-BDS hysteria that has swept Israel in recent years yielded several crowded and passionate conferences in luxurious hotels, where Israeli officials openly threatened BDS activists. In March 2017, the Israeli Knesset passed the Anti-BDS Travel Ban, which requires that the Interior Minister deny entry to Israel to any foreign national who “knowingly issued a public call to boycott the state of Israel.” Since the ban went into effect, many BDS supporters have been detained, deported and barred from entering the country.While Israel has demonstrated its ability to galvanise self-serving US and other European politicians to support its cause, there is no evidence that the BDS Movement is being quelled or weakening in any way. Airbnb’s decision was the latest proof of this assertion and of a turning tide. The success of BDS can be attributed to the very reason that Israel is failing to counter its efforts: it is a disciplined model of a popular, civil resistance based on engagement, open debate and democratic choices, while grounded in international and humanitarian law. $72 million will not turn the tide in favour of Apartheid Israel, nor will it change the course of history that can only belong to the people who are unrelenting on achieving their long-coveted freedom.